On August 15th, it was announced that Kanjani 8 member Okura Tadayoshi (27) will be starring in the new movie "100-kai Naku Koto" (directed by Hiroki Ryuichi) with Kiritani Mirei (22). This will mark Okura's third movie after "Ooku" (2010) and "Eight Ranger" (now showing), which featured Kanjani 8 in the lead roles as a group. However, this will be the first time for Okura to play the lead role alone. 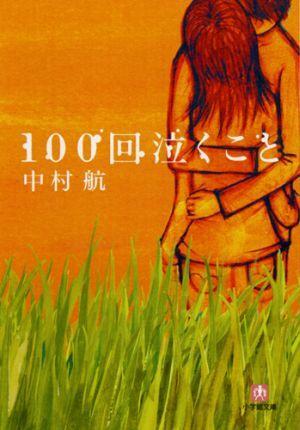 "100-kai Naku Koto" is based on Nakamura Kou's novel of the same name. The plot revolves around the sad love story of the protagonist 'Fujii' (Okura), whose lover is going through cancer. In the movie, 'Fujii' will be revealed to have lost a part of his memory due to a motorcycle accident four years ago. Okura commented, "Reading the script and the original novel made me think about true love. I would like to express the protagonist's subtle changes in his heart and his emotional conflict." Kiritani, who will be play the heroine 'Yoshimi', also made a comment, "Her face of struggling desperately against the illness, the scrupulous�face of being deeply in love with him, or the cute face when she is with him... �I hope that I could show the character's charms through a screen." Filming will begin at the end of this month, and the movie is scheduled to be released in 2013.